Social Engineering has a bad reputation with the multitude of sites devoted to “How to Lie”, “How to get this or that free” and “How to fraud people”. We wanted a place where professional, security-minded industry experts can share ideas, tools and just have conversations that are “above board”. 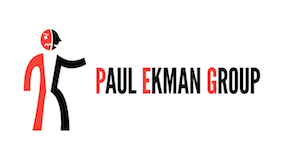 We wanted to create a place where professional social engineers can meet and share information with industry experts on deception detection, interrogation, neuro lingustic programming, elicitation and pretexting. Not just from one angle but how all these different aspects can be utilized in different parts of life. So we designed social-engineer.org as a place that houses tools, scripts, videos, how-to’s and monthly podcasts that will feature aspects of social engineering from the perception of security, interrogation, deception detection, penetration testing, psychology, law enforcement and so many more fields. What are the goals of social-engineer.org? Primarily our goal is to bring awareness to the threats out there. The threats in phishing, cons, identity theft… the malicious parts of social engineering that are robbing from so many of us. We also want a community where people from all walks of life that use aspects of social engineering can come and share their experiences. 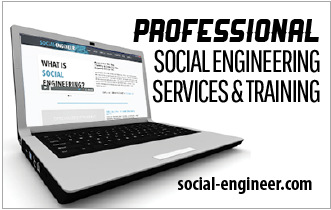 This is what we tried to create at new.social-engineer.org. Our key feature being the webs only Social Engineering Framework. 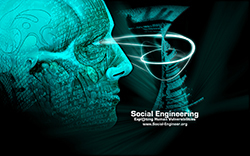 An outline of all the aspects of social engineering and how they relate to security, to life, to our jobs and hobbies. We have collected news reports, stories and experiences from the web as well as research from industry experts and compiled it all to make this an amazing tool for all to use. The Framework, as well as the site, will be a living, breathing entity…. it will continue to grow as time passes. More in depth research, more how-tos and videos, more tools – all will continue to enhance the site. Our vision is to continue to add to the framework and research new and exciting vectors in this field. To work together with industry experts in expanding this technology. To continue working together to create a truly unique and special community of people interested in social engineering. We wanted to express a sincere word of gratitude. We didn’t know what to expect when we released the call for help, the response was amazing. We really want to thank all the contributors for their hard work and excellent articles. We want to thank the Core team for helping with the channel, research and tools. Last but not least, thanks to the development team for all the long countless hours in making this a reality. Filed Under: Book and Course Reviews Like it? Share it!